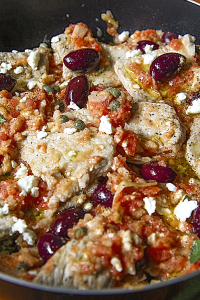 The fresh tomato pulp is ideal for bruschettas, dressing pasta or fish dishes or meat such as, the Greek scallops (see the recipe HERE). 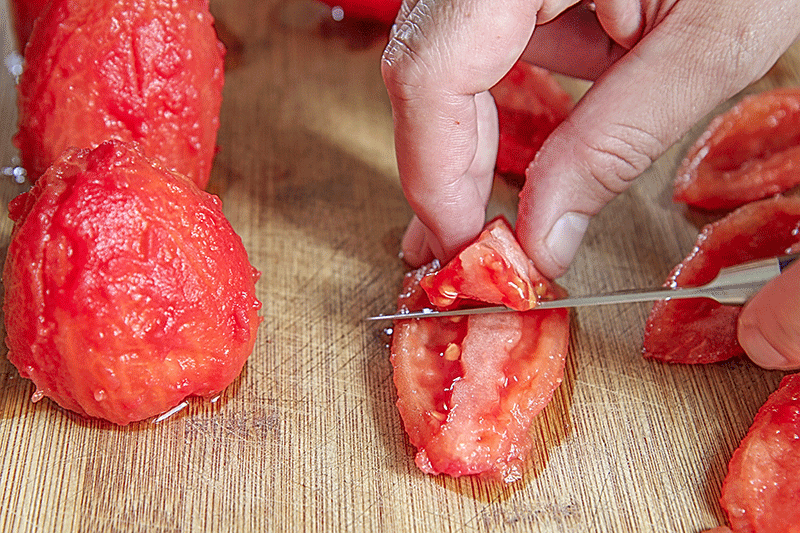 Firstly, cut the tomatoes longitudinally with 4 cuts at regular distance between them. then parboil them in lightly salted water for a few minutes, until the cuts begin to widen. 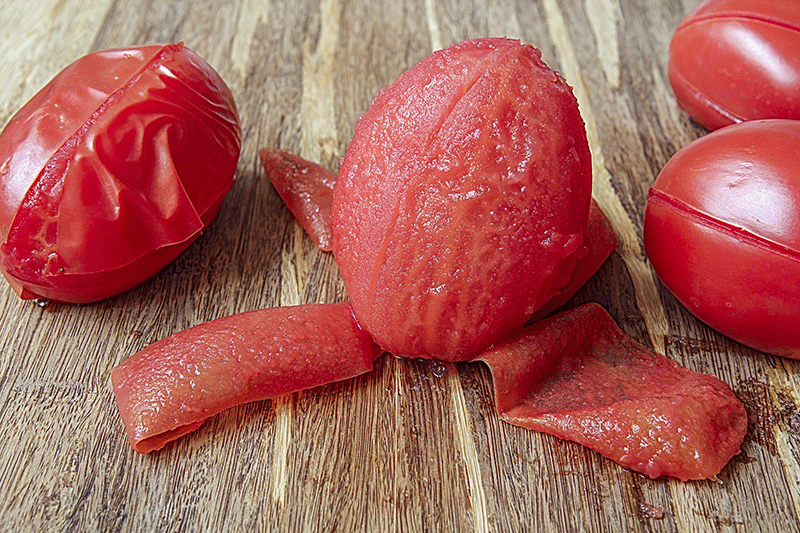 Drain the tomatoes and peel them quickly. Let them cool, then slice them in 4 parts. With the help of a sharp knife eliminate the soul more leathery and seeds. reduce the fillets and dice them keep the tomato pulp in a jar in the refrigerator, covered with a drizzle of olive oil , it will last for a couple of days. If you want it to last longer, you can prepare the tomato sauce canned, boiling it in a sterilized jars for 20 minutes. It will be very good, but it will lose its distinctive fresh taste. FIRST STEPS - The fresh tomato pulp is ideal for bruschettas, dressing pasta or fish dishes or meat such as, the Greek scallops. 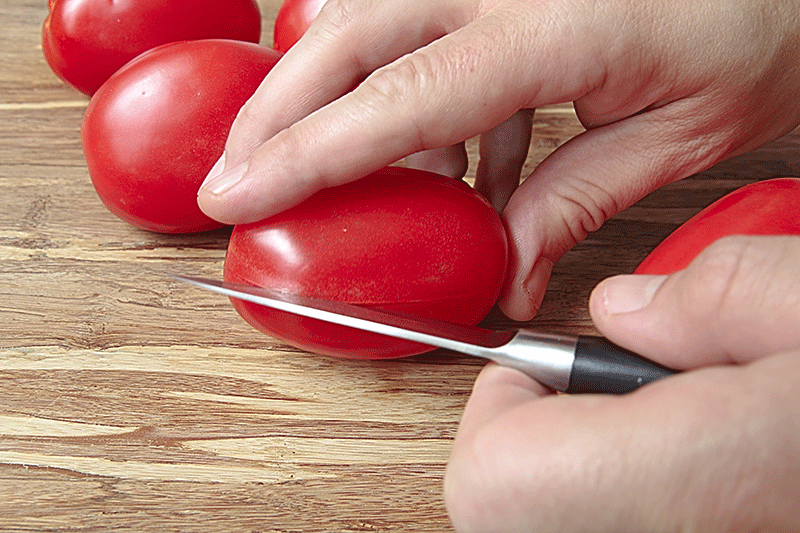 Firstly, cut the tomatoes longitudinally with 4 cuts at regular distance between them. then parboil them in lightly salted water for a few minutes, until the cuts begin to widen.. TOMATOES PULP - Drain the tomatoes and peel them quickly. Let them cool, then slice them in 4 parts. With the help of a sharp knife eliminate the soul more leathery and seeds. reduce the fillets and dice them keep the tomato pulp in a jar in the refrigerator, covered with a drizzle of olive oil, it will last for a couple of days. 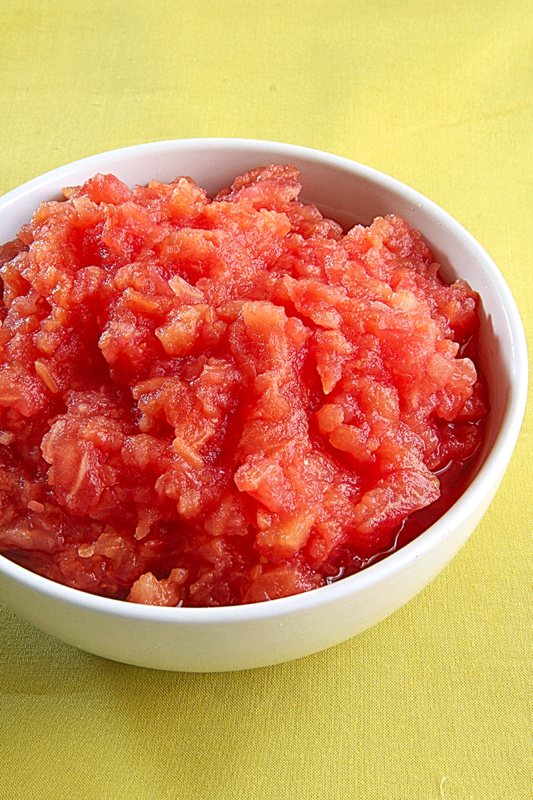 If you want it to last longer, you can prepare the tomato sauce canned, boiling it in a sterilized jars for 20 minutes. It will be very good, but it will lose its distinctive fresh taste.